Our jewelry store in Cary offers a fresh concept in new and pre-owned fine jewelry. Unlike other jewelry stores, we’re family-owned and operated -- and we’re passionate about what we do. Established in 1998, Joint Venture Jewelry has carried consignment jewelry from more than 3,000 private individuals, dealers and manufacturers. Whether you prefer our vintage or contemporary jewelry, each treasure from our unique collection goes home with you at a substantial savings. Our vintage jewelry collection includes engagement rings, wedding bands, sapphires, rings, diamonds, earrings, necklaces, bracelets and much more. 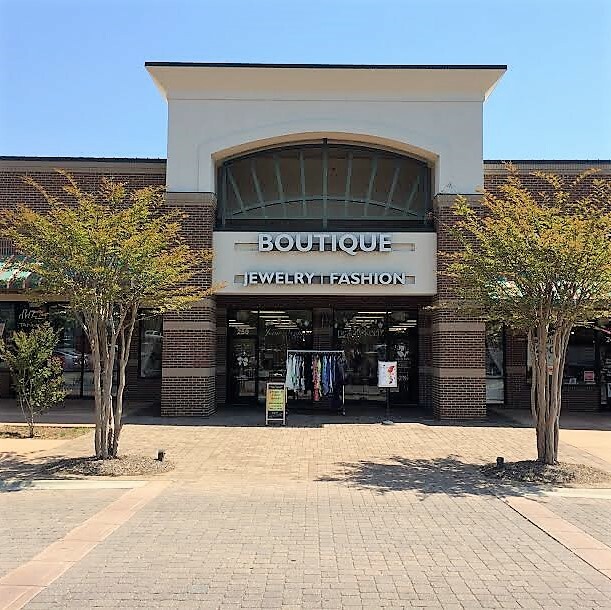 Stop by and see for yourself — we have many more pieces at our Cary Jewelry Boutique! The concept of consignment jewelry is unique, and we’re proud to be one of the only all-consignment jewelers in the Raleigh Area and the entire country. 1. Value to Buyers - We offer jewelry buyers tremendous value because most of our pieces are pre-owned, thus the original owner has absorbed the depreciation. 2. Value to Sellers - At the same time, we strive to give jewelry owners an opportunity to sell items they no longer want or need at the highest possible return. Liquidators and pawn shops typically offer a fraction of wholesale value. 3. A “Green” Solution - Supporting consignment jewelry is a wonderful way to recycle, repurpose and reuse your heirlooms. We also have expertise in jewelry redesign and restoration. So come visit us if you are looking to consign, redesign or purchase a treasure that will last forever. If you’re seeking a beautiful piece of jewelry, or in search of professionals to help you find your important item a good home for years to come, contact Joint Venture Jewelry today. For your convenience, we accept all major credit cards, checks and cash -- and be sure to ask about our interest-free layaway program (six months; 20% down; monthly payments).